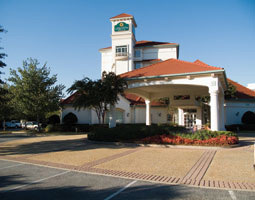 La Quinta at Paces Ferry has reserved a block of rooms for us at an ABR negotiated special rate of $95.00. Two dogs per room are allowed at no extra charge. To reserve your room, call the Group Reservations Department at 866-527-1498. Please ask for LA QUINTA INN & SUITES ATLANTA PACES FERRY and mention Group name Atlanta Boxer Rescue/Boxerstock and confirmation number #0174958. Please state the arrival and departure dates and book your room by 10/7/2016. After this date the rooms will be released to make room for other guests and future reservations will be subject to rate and availability. Click here for a map to the park from the hotel.